Mobile, is obviously, no longer just an option – it is a necessity. 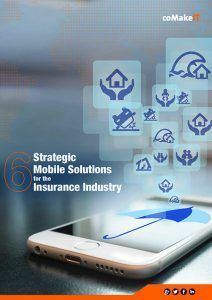 Insurers have to now think outside the box and adopt a holistic approach in designing their mobile strategy in order to cater to constantly evolving customer demands and inspire stickiness to the brand amongst their target audience members. We have identified 6 key opportunity areas that an insurance company must explore to sustain its brand value and to generate greater value in terms of ROI. Just fill in the form at the right to download the report! Download this free ebook now to check them out!